About halfway through Ant-Man and the Wasp I started thinking about Lebron James. The brand new Los Angeles Laker has been so good at basketball, for such a sustained period that it’s easy to take his talents (to South Beach) for granted. An average Lebron game last season – a tumultuous one for his Cavs – saw him nearly put up a triple double: 27.5 points, 8.6 rebounds, and 9.1 assists. That’s so darn good (and so stupifyingly in line with his career averages), that if you saw Lebron put up a conventionally *excellent* 25, 5 and 6, it would feel mundane. While those numbers might be all-star caliber for nearly anyone else, for Lebron, that’s a below average night. He’s simply capable of so much more. This is the current position of the Marvel Cinematic Universe. As their logo is proud to display, Marvel Stud10s now boasts ten years of sustained, unprecedented superhero movie excellence. Even if you’re a detractor, and unimpressed with the product, the Marvel Cinematic Universe has reached a level of combined financial and critical success that is unlike anything in movie history (hyperbole drive engaged!). This is clearer than ever in the wake of a consecutive release run that flows Spider-Man: Homecoming, Thor: Ragnarok, Black Panther, and Avengers: Infinity War. All four of these selections are inside the top 10 of my MCU power rankings (see below for the update! ), with Infinity War landing comfortably as my definitive #1 favorite. The follow-up slot to Infinity War was never going to be an easy one to one-up, so Marvel Studios doesn’t even try. If Infinity War is Lebron putting up 50 points against the superteam Warriors in the first game of the NBA finals, Ant-Man and the Wasp is every fantastic “average” he put up during the regular season. It’s good. But we’ve seen *great*. All of which is to say, the most likely landing place for oddball outskirts selection Ant-Man and the Wasp was essentially “well, that was better than I expected,” and sure enough it reaches that safe bar with ease. There’s no point in pretending Ant-Man and the Wasp is anything other than very good at what it sets out to do. Director Peyton Reed, MCU head honcho Kevin Feige, and the entire cast and crew make family-friendly action-comedy look impossibly easy. The most direct comparison would be Guardians of the Galaxy 2, a middle of the road MCU release packed to the brim with good jokes and charismatic performances. There are plenty of great laughs, Evangeline Lily is awesome as a (finally) in-action Wasp, and Paul Rudd’s a perfect bungling Scott Lang. Much like Deadpool 2, if you just want to smile in a theater for a couple hours, Ant-Man and the Wasp will absolutely deliver. I think the biggest disappointment of the movie for me is that Marvel Studios has carte blanche right now to take extraordinary risks, and they’re more than content to roll with a pre-proven formula. Ant-Man and the Wasp never gets truly *weird* or surprising in memorable ways. There’s a glimpse when Dr. Hank Pym is rocketing through the Quantum Realm and sense-altering Amoeba begin to descend on his vessel, and for just the slightest of beats you can feel the science-fiction adventure at the heart of the Ant-Man mythos. It’s right there for the taking. Instead, though, much like Scott’s first journey through the Quantum Realm, or Dr. Strange’s trips through the Astral Plane, it’s a short-term visual without any of the actual world-building you’d find in a comic. These aren’t places to visit so much as quasi-science scenery to advance plot. The most interesting questions to me throughout the movie were all about Janet Van Dyne’s time in the Quantum Realm. What is it like there? How did she survive? What life forms did she meet? I’d never use ant spray in my garage again if it meant we got to see warrior Janet surviving in the tribal wars of the microverse! Oddly, Ant-Man and the Wasp moves on from all these questions with zero appetite for exploration. Janet’s just there with Michelle Pfeiffer’s smile and gray hair. We learn that the Quantum Realm has changed here, including the power to glow her fingers, but otherwise the details are somewhere between sparse and non-existent. Was Janet literally just pacing on a rock for 30 years (apparently “time and space” work differently in the Quantum Realm, but she aged in step with husband Hank Pym)? Personally, I’d rather see the outskirts of the Avengers world get weird and *not work* than see the MCU gently run out the clock until Avengers 4. After all, we know what Marvel Studios is capable of at their peak. Where Does Ant-Man & The Wasp Rank in The Marvel Cinematic Universe Power Rankings? I found Laurence Fishburne extremely compelling as Bill Foster, and could have used a lot more of him, particularly doing more than having misgivings and getting trapped by big ants. There’s a surprisingly compelling history of SHIELD locked in the flashbacks of both Ant-Man movies. Perhaps a certain Agent Carter could explore this time frame in a return to TV? Ghost is definitely one of the more sympathetic villains in the Marvel Cinematic Universe, basically just trying to use scientific advances Pym has made in order to stop her literal endless pain. We’re a ways removed from this becoming a reality, but her end state at the end of this movie could set her up nicely for a future Thunderbolts roster. It’s a weird thing for the mid-post-credits scene of a movie to be the most compelling, discussion worthy moment of the film going experience. We talked in the podcast review of Avengers: Infinity War about the potential for the Quantum Realm to double as the MCU’s microverse, or negative zone, or any of a dozen Marvel Universe alternate realms full of life and possibility. After Ant-Man and the Wasp, this seems depressingly unlikely. More on this in a moment. I was surprised to hear from a few people recently the notion of *skipping* movies in an effort to catch up on the MCU. Is Ant-Man and the Wasp skippable? Is it the most skippable? To be clear, I’m thinking only whether or not the movie has significance to the broader Marvel Cinematic Universe (not just whether or not it’s any good). Number one means you could definitely skip and still “get” what’s to come. 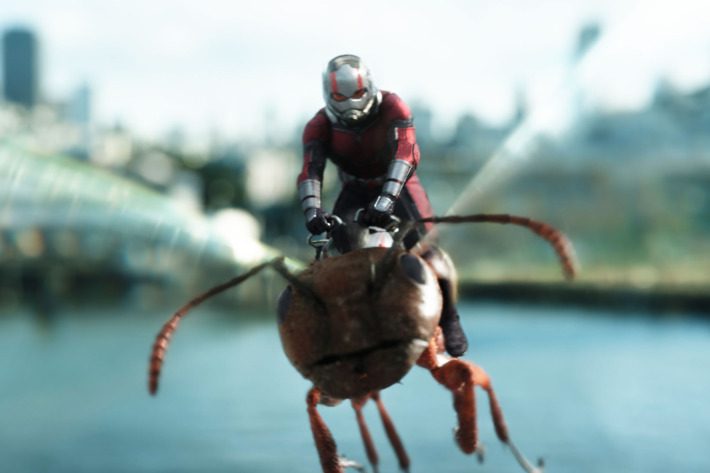 Now, given the mid-credits roll, Ant-Man and the Wasp could become oddly essential based on a 2 minute post-credits sequence. Trapping Scott in the Quantum Realm during the Snapture (^TM Glen Wheldon) clearly sets the stage for his involvement during Avengers 4. Prior to Ant-Man & The Wasp I would have predicted Scott will come storming out of the Quantum Realm with an army of Annihilus’ hordes at his back, but that would be an absolutely left field turn from what we’ve seen so far. Instead, the bigger question for me is how does Scott get out. There were some pretty clear elements of time travel teased with Scott inhabiting Janet’s body decades earlier, so that may play a strong role, though it’s tough to say to what end. Even if Scott could control the manipulations of time to some small (teehee) degree, he doesn’t actually know anything about Thanos or his involvement in wiping out the Van Dyne clan. So it seems to me that for Scott to be of any use, one of the remaining heroes somehow has to get in touch with him. My best guess: Tony gets to inventing (either to travel back in time and prevent Thanos, or to find an alternate reality where this didn’t happen) and hears a tiny voice squeaking out of his instruments. You’ll note one obvious trend there, though, which is notably absent from the Ant-Man franchise to date. I suppose Scott gets tiny in Civil War when he infiltrates Iron Man’s armor, but a classic homage to Osmosis Jones alludes us. 7) MCU Continuity Getting Muddled… Like Comics! 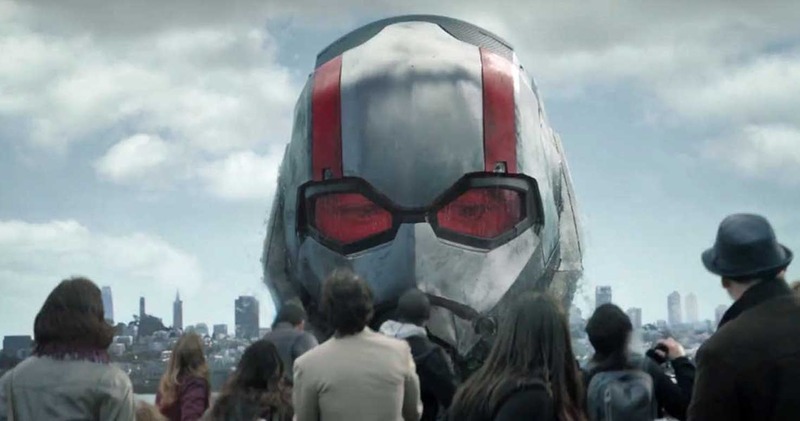 Ant-Man & Wasp holds the unique distinction of releasing after 2018’s Avengers: Infinity War but taking place chronologically in the aftermath of 2016’s Captain America 3: Civil War. This is more flexing on Marvel’s part than anything (audiences are simply expected to remember a movie that came out two years ago, and know exactly what all that talk about Germany references), but it opens a slippery slope. With a few confused exceptions (Dr. Strange’s origins, Spidey’s botched “7 Years Later” caption), this is one of the first times the MCU hasn’t just progressed linearly from movie to movie. Sadly, this golden opportunity to clear up some of the gaps between Civil War and Infinity War goes completely wasted. There’s no reference to what any of the other heroes are doing during this time, which is a shame, because even the most easter eggy of references to Cap’s Secret Avengers would have blown me away. I didn’t know FBI Agent (and comics’ own Agent of Atlas) Jimmy Woo would be in Ant-Man & The Wasp, but boy am I glad he was. Easily my favorite supporting role in a movie full of some good ones. Poor elder Van Dyne, back in the mix only to get Thanos’d a mere 10 minutes later. Hope the greatest movie Catwoman enjoyed her time in the MCU. 10) What Do We Do Now? After two great movies, and one relatively good one, Marvel Studios is suddenly done for the year with the entire back half remaining. In the meantime, I recommend the following reads to get you through the long, dark MCU-less months! There are plenty of great laughs, Evangeline Lily is awesome as a (finally) in-action Wasp, and Paul Rudd’s a perfect bungling Scott Lang. Much like Deadpool 2, if you just want to smile in a theater for a couple hours, Ant-Man and the Wasp will absolutely deliver.